Relieves fatigue and relaxes the body. Enriched with Winter Cherry, an effective anti-stress agent and relaxant, Country Mallow, a well-known pain reliever, and Gulancha Tinospora, an antioxidant especially useful in stress, Himalaya Herbals Anti-Stress Massage Oil effectively alleviates fatigue due to stress, sleeplessness and backache, relaxing the body. 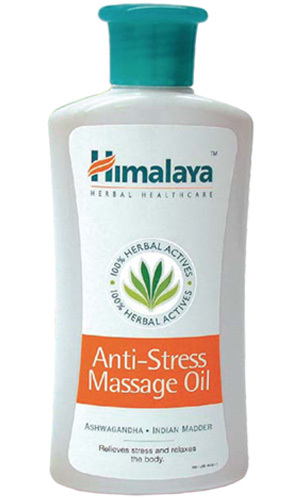 Apply Himalaya Herbals Anti-Stress Massage Oil generously and massage well all over the body. Take a warm shower after half an hour.